The judge said the CBI ought to have handed over the seized document to the passport authority under provisions of section 10 (3) of the Passport Act. 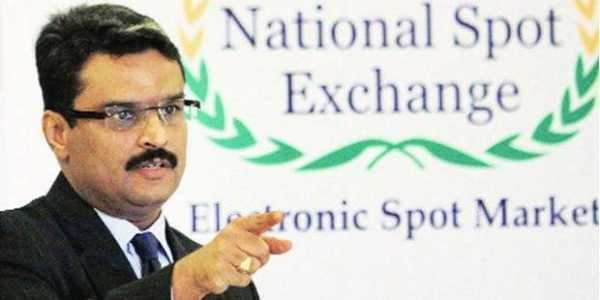 MUMBAI: Holding that the CBI's action of retaining the passport of businessman Jignesh Shah, prime accused in the multi-crore NSEL scam, for over three years was "illegal and contrary to law", the Bombay High Court has asked the probe agency to return the travel document to him. Justice Prakash Deu Naik allowed an application filed by Shah, founder and chairman, 63 Moons (formerly Financial Technologies of India Ltd), challenging a September 2017 order of a special CBI court rejecting his application seeking a return of his passport. Justice Naik, in his order passed on June 4, said the Central Bureau of Investigation (CBI) had only powers to seize the passport not impound it. He, however, said the passport authority was at liberty to initiate action under section 10(3) of the Passport Act to impound the government-issued key document which is required to travel abroad. Referring to a Supreme Court order, the HC noted the Central agency does not have jurisdiction to impound a passport and such powers lie only with the passport authority, a body formed under the Act. "In the present case, the CBI, under the guise of the seizure of the passport, has retained the same for almost three years, which amounts to impounding and not permissible under law," Justice Naik said, adding the agency's action was "contrary to law". "The illegality (retention of passport by CBI) cannot continue in perpetuity. The passport needs to be handed over to the applicant (Shah). The passport authority is free to take action towards impounding the passport under section 10(3) of the Act," Justice Naik said. The order, however, clarifies that Shah will have to adhere to the conditions laid down by the special CBI court while granting him bail one of which is he will have to take prior permission from the court for travelling out of India. The CBI had seized the passport in March 2014, a month after it registered a case related to the scam and booked Shah and others under various provisions of the Indian Penal Code like criminal conspiracy and cheating, among others. In December 2016, the agency filed its charge-sheet in the scam. In May 2017, Shah approached the special court seeking return of the passport on the ground the investigation in the case was complete and that the document has been in the CBI's possession for three years. The CBI had opposed the application on the ground that the offense was serious in nature and that there was a likelihood of Shah absconding.